**Updated 7/31/16** Now includes a 2-page assessment! 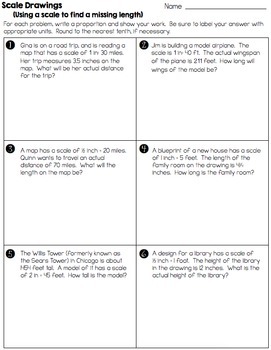 ··Finding a missing drawing or actual length when given a scale (6 practice problems). 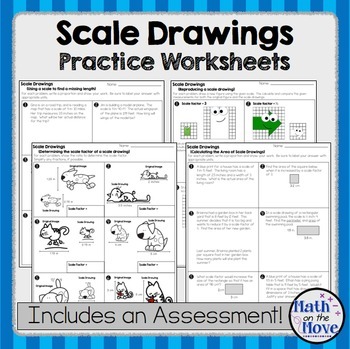 ··Determining the scale factor when given two drawings (6 practice problems). ··Calculating the area of an actual figure when given a scale or a scale factor (6 practice problems). 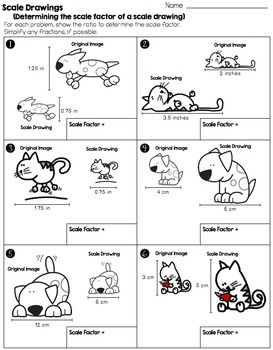 ··Reproducing a drawing using at different scale (4 practice problems).